The Vilnius City Council approved the introduction of the so-called tourist tax by the majority of its votes (15 December 2017). Calculations have been made that having introduced this tax, the budget of the capital city should increase by about 2 million euros per year starting from 2019, while the collected funds would be allocated to increase international competitiveness of the city and to improve tourism infrastructure. A tax of one euro will be introduced as from 1 July 2018. Considering the dynamics of the growth of the number of tourists in Vilnius, the plan is to have the tourist tax contribute an additional EUR 2.28 million to the budget of Vilnius in 2019. Tourist tax funds are planned to be used to develop tourism infrastructure in Vilnius and to attract tourists to the city. The Council approved specific areas of use of the toll: to increase the awareness of the city, to improve international accessibility of the city (for example, flight development programme), to promote conference tourism and to increase touristic appeal of Vilnius. According to Inga Romanovskienė, the Head of Vilnius Tourism and Business Development Agency “Go Vilnius”, considering the growing interest in the city of Vilnius and the continuously increasing number of business and recreational tourists, the need for active and consistent international tourism marketing in the city, which would help to effectively expand flight routes and improve the Vilnius city tourism infrastructure thus promoting the international competitiveness of Vilnius, has been increasing. “The tourist tax will allow the city to implement significant projects enhancing the competitiveness of the city in the region, increasing the attractiveness of Vilnius and improving the tourism infrastructure as well as the emergence of new direct flights to Vilnius”, – said I. Romanovskienė. Such practice is already used in many European and five Lithuanian cities. A tourist tax is collected in Amsterdam, Berlin, Rome and many other cities in 17 European countries. In some cities this tax is up to EUR 7. In Lithuania, the tax for lodging in hotels is currently collected in five cities: Druskininkai (EUR 1), Palanga (EUR 1), Birštonas (EUR 1), Trakai (EUR 1) and Kaunas (EUR 0.5, which will be EUR 1 as from 2019)). Tallinn is currently considering a similar tax. The Vilnius City Council agreed with the calculation of the tax on the number of overnight stays in the city. The proposed tax amount per person for a single night stay is EUR 1 as from July of 2018. 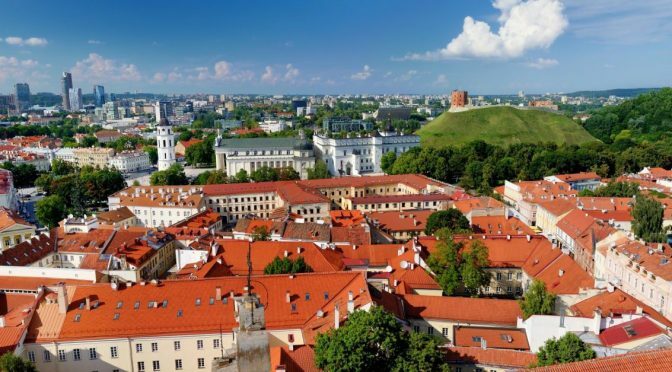 In the first year, tourist groups ordering at least 10 rooms will be exempted from the tax; benefits will also apply to patients, children under the age of 18 and older students, the disabled and those who plan to stay in Vilnius for a month or longer. The local tax is calculated on the number of overnight stays of the accommodation service recipient. In the six months of this year, almost 0.5 million tourists stayed in Vilnius accommodation establishments, spending almost 930 000 nights in the city. Based on the dynamics of growth of the number of tourists in Vilnius in 2013-2016 and the trends of increase of the number of nights spent in Vilnius, the plan is to have about 1.27 million tourists, who will spend 2.28 million nights in 2019. According to expectations, having introduced a tourist tax of 1 EUR per night, about EUR 2.28 million will be collected in 2019.